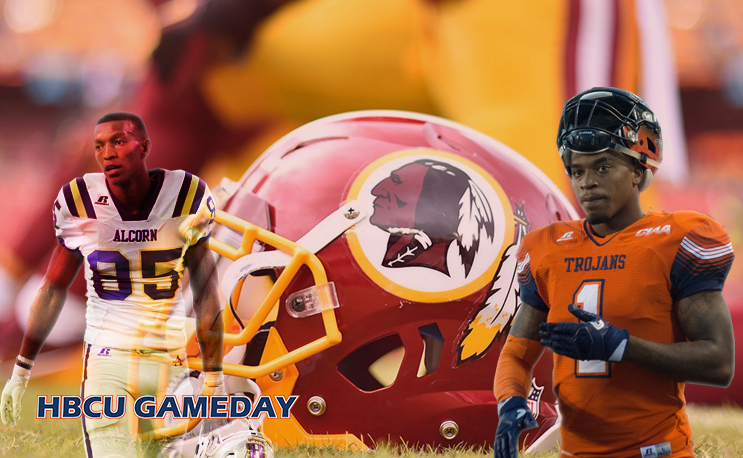 The Washington Redskins have a heavy HBCU presence at rookie camp this season. This weekend is Mother’s Day, but several HBCU stars will be spending their weekend trying to stick in NFL rookie camps. The Washington Redskins have invited a total of 46 former college stars to tryout for a spot in training camp, and six of them hail from HBCUs. These six will join former Southern defensive back Danny Johnson and former Grambling star Martez Carter in the DMV for a weekend that they hope will change their lives. It is a long shot for most players to go from a tryout to the 53-man roster, but Washington coach Jay Gruden didn’t rule it out. You’re just looking for guys that obviously produce with the opportunities they have. You’re looking for a skill set that you think would fit in well with what you’re trying to do offensively, defensively or even special teams. Former Texas Southern star Darvin Kidsey is among those six players, along with former SWAC rival Norlando Veals of Alcorn State and former Virginia State receiver Zac Parker. All three will be looking to advance to training camp at the receiver position. Dillon Beard of Southern has been brought in for a tryout. His former teammate, Danny Johnson was signed by Washington as a free agent shortly after the draft. Two former MEACers, Norfolk State’s Chris Lee and Howard’s Richard Johnson, will be vying for spots on the defensive line. Unfortunately, Lee took a hard fall on Friday. The Redskins likely have the largest number of HBCU talent coming into a rookie camp. That shouldn’t be a suprise given that Doug Williams has a lot of pull in the organization. Homecoming features a rare HBCU matchup for the Braves. Noah Johnson will be playing for much more than just the win on Saturday. A side by side statistical comparison between NCAT and Alcorn State.